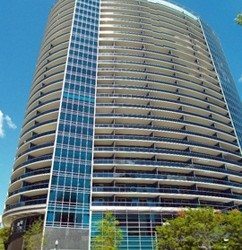 The 26-story Turnberry Tower is the tallest luxury condominium building in Metro DC, located just across the Potomac in the ultra-convenient Rosslyn neighborhood of Arlington, VA. Recognized as the DC Area’s Top-Selling Luxury Condominium in both 2010 and 2011, Turnberry Tower continues to attract the most discerning residents in 2012. Since January, over a dozen luxury properties have been sold in Turnberry Tower, including a magnificent 4,400+ sq. ft. penthouse that commanded $4.2 million in January. More recently, a 24th floor condominium closed for $4 Million in June. Active listings are available for review and you may also arrange a building tour at your convenience. 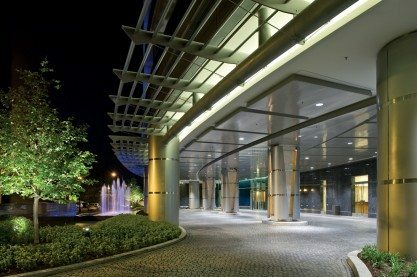 Internationally renowned Turnberry Associates constructed Turnberry Tower condominiums in 2009 with spacious, elegant and carefree living in mind. Generous open floor plans ranging in size from 1322 to 5304 square feet with tall 9′ to 11′ ceilings create airy interior spaces while 742-square-foot balconies beckon residents outside to enjoy the views. Large floor-to-ceiling energy efficient windows and balconies with panoramic views overlook the Potomac River and offer the most spectacular views of the city and the monuments available. Penthouses are found on the 25th floor and offer airy 11′ ceiling heights and private elevator entries. Arguably other high floor residences below the official penthouse level offer penthouse-caliber views that are hard to find in the District proper with its building height restrictions. 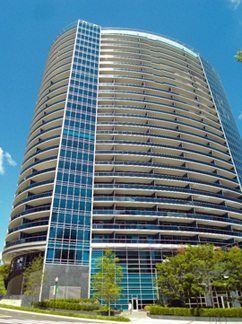 Turnberry Tower’s highest living experiences are found on the 26th floor where residences are aptly named Tower Suites. These premium luxury residences also feature lofty 11′ ceiling heights as well as fully open air balconies that maximize the unobstructed panoramic views. 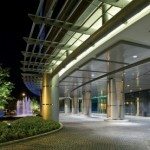 Imagine the unmatched service of a world-class concierge responding to your requests with 24-hour front desk and security. State of the art theatre/screening room. 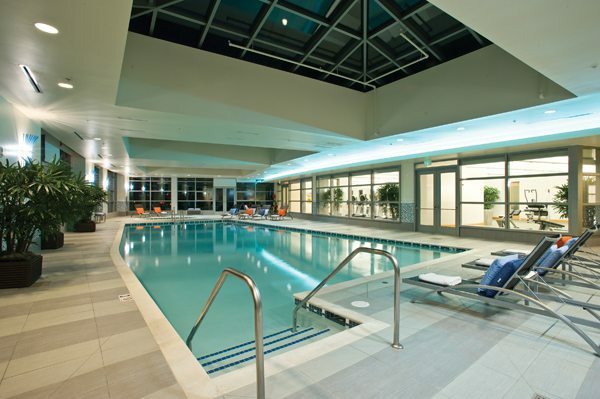 Also in Rosslyn, The Waterview offers the high-end amenities and luxuries of Turnberry Tower. Across the Potomac, elegant living is available in Georgetown at The Ritz Carlton Georgetown and 3303 Water Street. In the West End, buildings of note include The Ritz Carlton West End and 22 West. 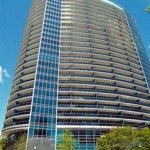 Located in Rosslyn with its own Metro stop on the Orange and Blue lines, Turnberry Tower is a great walkable location, or the doorman will call you a taxi if you prefer to drive without having your car brought around. Access to DC, the beltway, National Airport and points beyond is easy with major thoroughfares within just a couple blocks. Turnberry Tower is mere stroll away from historic Georgetown for the city’s finest dining, shopping, theater and the arts over the Key Bridge. You can also walk into Clarendon where tons of shops and restaurants await. In your immediate Rosslyn neighborhood, enjoy a variety of dining establishments including Guajillo, Ray’s Hell-Burger, Pho 75 and Café Assorti. For more information about Turnberry Tower or to discuss buying or selling a penthouse property in the Capital Region, contact Jeff Wilson at your convenience.